Very Large Array Radio Telescope at the VLA in New Mexico. We wanted to stay for a Milky Way photo but we were asked to leave at sundown. Bosque del Apache tomorrow. Awesome! 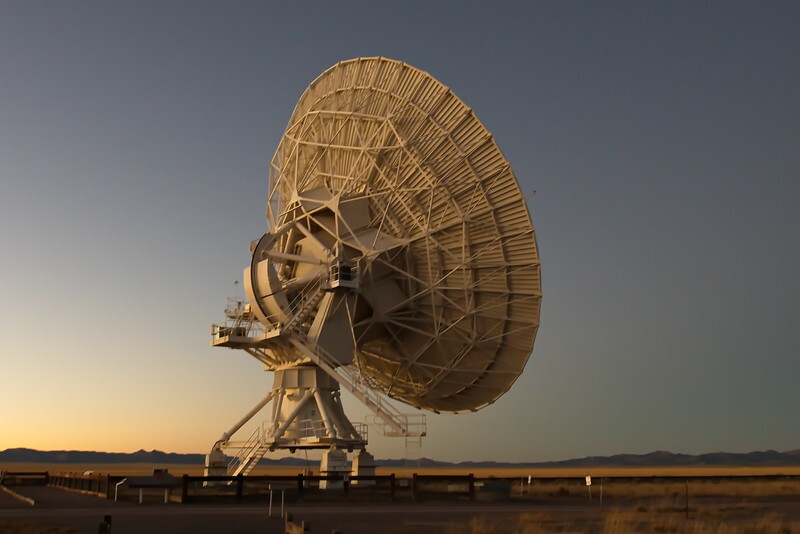 I wondered whether you'd visit the VLA when you were in Socorro. Massive telescope! Nice low light! That think is huge! Love the POV and lower light. Nice shot of one element on the VLA. Have in the past visited the UK's own Radio Telescope at Jodrell bank and also the comms centre at Goonhilly. They are great structures to photograph. Very impressive huge piece of technology!